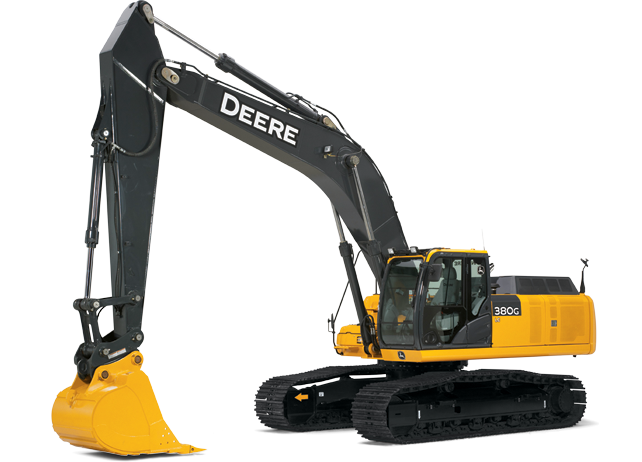 Looking to rent a construction class excavator, John Deere 380G LC, in Rochester NY, Ithaca NY and Western New York? Engine Overview: Interim Tier 4-certified diesel. Power Generation: Net Rated Power 271 horsepower at 1,900 rpm. Maximum Digging Depth: 24 feet, 3 inches. Arm Digging Force: 30,930 pounds.